Three-time Grammy Award-winning multiplatinum band MAROON 5 will take center stage at the PEPSI SUPER BOWL LIII HALFTIME SHOW on CBS at Mercedes-Benz Stadium in Atlanta on Sunday, Feb. 3, 2019, they confirmed today. Maroon 5 will feature a slate of guest artists including Grammy-nominated rapper TRAVIS SCOTT and Atlanta native BIG BOI bringing together the broadest range of musical genres ever seen on the Super Bowl stage. Maroon 5, Travis Scott, and Big Boi join an esteemed list of recent halftime acts including Justin Timberlake, Lady Gaga, Coldplay, Katy Perry, Missy Elliott, Lenny Kravitz, Bruno Mars, Red Hot Chili Peppers, Madonna, Nicki Minaj, The Who, Bruce Springsteen & The E Street Band, Tom Petty and the Heartbreakers, Prince, the Rolling Stones, Paul McCartney, U2 and many more. The Pepsi Super Bowl Halftime Show is the most-watched musical event of the year. Super Bowl LIII and the Pepsi Super Bowl Halftime Show will be broadcast by CBS from Mercedes-Benz Stadium in Atlanta. 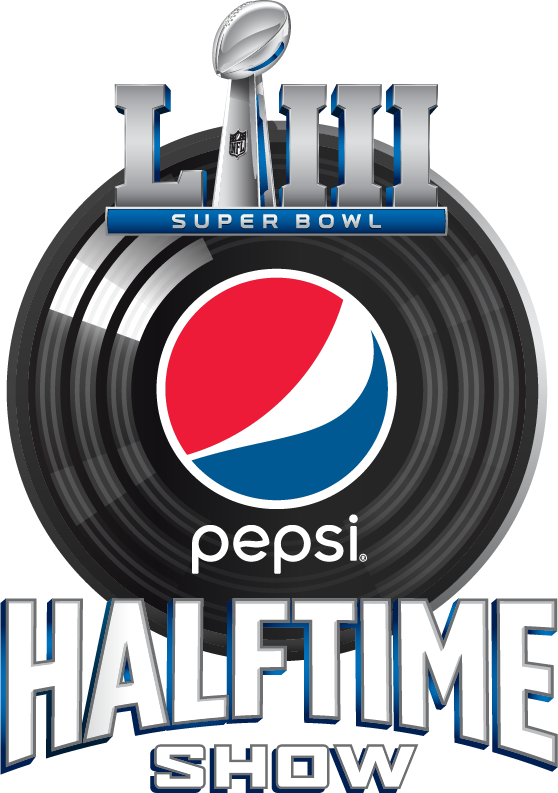 Super Bowl LIII marks Pepsi's seventh year as title sponsor of the Super Bowl Halftime Show and 17th year as an NFL partner. Pepsi and the NFL have teamed up again to provide fans with a halftime experience worthy of pop-culture's biggest stage. The PEPSI SUPER BOWL LIII HALFTIME SHOW is an NFL NETWORK PRODUCTION and will be executive produced by RICKY KIRSHNER and directed by HAMISH HAMILTON. For more information about Super Bowl LIII, visit SuperBowl.com. Maroon 5 stands out as not only one of pop music's most enduring artists, but also one of the 21st century's biggest acts. To date, the universally renowned Los Angeles band have achieved three GRAMMY® Awards and sold over 53 million albums, 48 million singles worldwide and earned gold and platinum certifications in more than 35 countries. The band won over fans and critics alike with the hybrid rock/R&B sound they introduced on their debut album, Songs About Jane and their double platinum album, It Won't be Soon Before Long. Maroon 5 went on to release studio albums, Hands All Over, which featured the anthemic "Moves Like Jagger," and Overexposed. The band's fifth studio album, V, debuted at #1 on Billboard's Top 200 chart and featured the #1 hit singles "Maps," "Animals" and "Sugar," helping the band set a record for the most #1's by a group in the Top 40 chart's 20-year history, with 9 in total. The music video for the album's GRAMMY- nominated single "Sugar" has notably logged a record setting 2+ billion views to date. Maroon 5 released their 6th studio album, Red Pill Blues, in late 2017 via 222/ Interscope. The album features the global hit single "Girls Like You" ft. Cardi B, which reached #1 at Top 40, #1 at Adult Pop, #1 on the Billboard Hot 100 for seven consecutive weeks. The track also claimed the #1 position on iTunes and Spotify, all while accumulating over 626 million Spotify streams and over 1.7 billion YouTube/ VEVO views. The single has gone on to become the longest-running song on the Billboard Hot 100 Top 10 and is notably the most-watched video on VEVO in 2018. The band recently finished 2018 as the biggest act on U.S. radio (according to Nielsen Music). The group's songs amassed 8.58 billion audience impressions across all monitored radio stations, which included 1.95 million plays of Maroon 5's music. Grammy-nominated global superstar Travis Scott has established himself as a leading force in the music world. His third full-length album ASTROWORLD – released August 3, 2018 via Cactus Jack Records/Epic Records – debuted at #1 on the Billboard 200, scored the second-largest debut of 2018 and has since certified platinum by the RIAA. The critically acclaimed album also yielded his first Billboard Hot 100 #1 single with "SICKO MODE," and garnered a total of three Grammy nominations: Best Rap Album, Best Rap Song and Best Rap Performance. ASTROWORLD followed the 2016 release of platinum-certified, Birds In The Trap Sing McKnight and earned his first #1 album. Travis' platinum-certified debut album, Rodeo was released in 2015 and features the Billboard Hot 100 hit single "Antidote." Hailing from Missouri City, TX, Travis has performed on Saturday Night Live, Ellen, The Tonight Show Starring Jimmy Fallon, Jimmy Kimmel Live! and many more. He has appeared on the cover of prestigious publications such as Rolling Stone, GQ, GQ Style, Billboard, XXL, and The FADER. Additionally, Travis is a household name in the fashion world where his influence spans from launch collaborations with YSL, Helmut Lang, Nike and Ksubi Denim to starring in notable campaigns for Alexander Wang, and Ricardo Tisci among other numerous top designers. Travis will embark on the second North American leg of his ASTROWORLD Tour this month. The immense SOLD OUT world arena tour began November 2018 and features a roller coaster hoisted in the air running the length crowd, a ferris wheel, fireworks, and pyrotechnics and is as Rolling Stone describes, "the greatest show on earth." Atlanta indisputably set the pace for modern hip-hop. However, Big Boi set the pace for Atlanta, and by proxy, the culture at large. If the genre of hip-hop ever gets its own "Rap Mount Rushmore," a legacy as the region's foremost wordsmith, funkiest gentleman, and resident ATLien certainly guarantees a place for the diamond selling artist, rapper, songwriter, record producer, actor, philanthropist born Antwan André Patton. Big made history as the preeminent spitter of the Dungeon Family and one-half of OutKast. The legendary duo sold 25 million albums and garnered seven GRAMMY® Awards, becoming the first and only hip-hop artist in history to win the GRAMMY® for "Album of the Year" upon release of their 2003 RIAA Diamond-certified Speakerboxxx/The Love Below. Big Boi made his proper introduction as a solo artist in 2010 with Sir Lucious Left Foot: The Son of Chico Dusty. A modern classic, it captured #3 on theBillboard Top 200 and landed on Pitchfork's "100 Best Albums of the Decade 'So Far'." Following a succession of high-profile album releases, Big Boi released his latest album Boomiverse in 2017. The smash single "All Night" sound tracked a high-profile Apple Animoji commercial, blew up radio, and clocked 40 million streams within a year. The song also hit the Top 30 on the pop chart and Top 10 at Rhythmic.